Easter is fast approaching and aside from gorging on chocolate, it can be the perfect opportunity to enjoy some fun with the family. While we’re sure you will want to relax, there’s no need to spend the entire weekend cooped up in front of the TV, we’ve come up with some family fun activities to keep you entertained all weekend! Whether it’s indoors or out, we’ve listed some great Easter activity ideas to keep you and the kids entertained whatever the weather. Camping can be a great way of getting outdoors, learning new skills and feeling a sense of adventure, and Easter weekend is the ideal time to experience the great outdoors. Camping needn’t only be about eating beans by the fire, it’s also about the fun of putting your tent together and fending for yourself. There are plenty of activities that all the family can get involved in, such as looking for firewood and identifying surrounding plants and wildlife. A picnic or a bike ride can be great accompanying activities to a good camping holiday. There are a huge number of camping sites across the UK, but if you have a bit of a dirt phobia, you could always try glamping instead and enjoy your camping break in real comfort! A trip to a local museum can provide an engaging and informative experience for adults and children alike. Whether it’s local or global history that you’re interested in, or something more niche like engineering or fashion, there are specialised museums right across the UK, so you and your family’s tastes are bound to be catered for. Plus, many of them include free entry, so there’s no reason to break the bank this Easter. If museums aren’t your thing, a studio tour is another fun indoor activity, particularly if one of your favourite films was shot there. The Harry Potter Studio Tour in Leavesden, Hertfordshire offers a fantastic behind-the-scenes look at one of the most popular film franchises of all time. Fans of the series can look at the original sets, props and costumes that helped the magic of the books really come alive. Easter has always been as much about making things as it has been all about the chocolate, whether that’s painting eggs or creating something with the empty boxes. Use the holiday weekend to spend some quality time with your children, indulging their creative side and turning some everyday things around the house into works of art. Or choose our Three Month Rainy Day Box Subscription to help you make this Easter holiday a creative, fun and messy weekend for all the family. 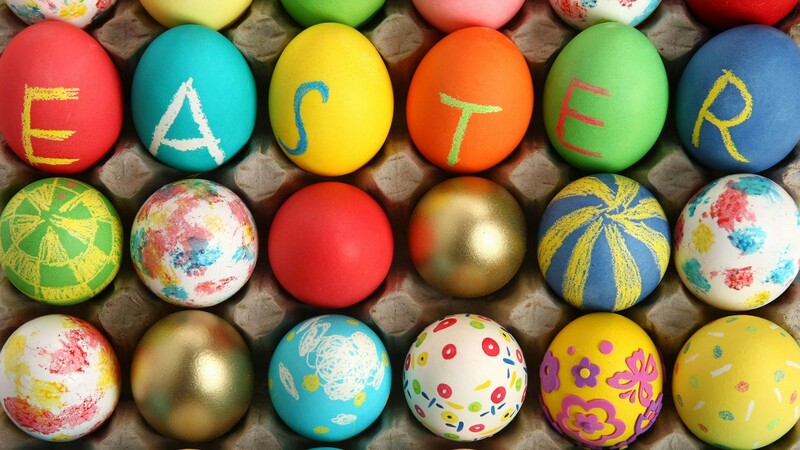 How will you spend your Easter weekend? Take a look at our Easter baking blog for even more ideas!